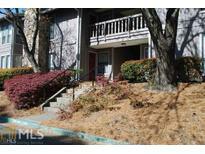 Find Tucker, GA Condos for sale. View Photos, Maps and MLS Data Now! Empire Square - Backyard Oasis W/ Gazebo, Huge, Terraced Party Deck & More! MLS#6539149. Scotty Real Estate. Winchester Heights - This Is A Must See. Easy To Show, Just Courtesy MLS#6539460. Solid Source Realty Ga, Llc..
* Separate Living Room, Dr, Den, And A Rec Room With Wet Bar* Den Features Masonry Fireplace With Gas Logs*2 Year Old High Efficiency Hvac* Level Driveway To Spacious 2 Car Garage Plus Extra Paved Parking Beside Garage* Hardwood Floors On The Main*Huge Fenced Yard With Tool Shed* Livsey Elementary*.4Mile To Westhampton Swim Club* City Of Tucker Is Booming! MLS#6539635. Re/Max Metro Atlanta. Montreal Woods - Conveniently Located Close To Shopping, Dining, And Marta. MLS#6539268. Keller Williams Realty Metro Atl. This Property Has A Nice Patio Located Off The Back Of This Unit Unlike Any Other Unit In The Subdivision. MLS#8566981. 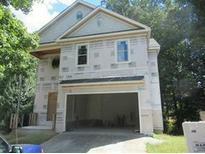 Kelly Right Real Estate Of Ga.
Brookwood Park - Lots Of Awesome Wood Work Inside Already! Hurry!! ! MLS#6538994. Keller Williams Realty Atl Part. Idlewood Acres - The Neighborhood Is Served By The Great Schools Of The City Of Tucker And Is About 20 Minutes Away From Emory University And Downtown Decatur, I-285 And National Highway 78 Are Minutes Away From The Property. MLS#6531682. Virtual Properties Realty. Biz. Hardwood Floors, Enormous Fenced Back Yard. Don'T Miss This Golden Opportunity. MLS#6538086. Virtual Properties Realty.Com. Smoketree - Home Is Priced Below Market Value To Allow Funds For Updating. MLS#6537966. Realty One Group Edge. Pet-Friendly Areas, Good Schools, And Many Amenities To Make This A Smart Home Purchase! MLS#8559203. Keller Williams Realty. Home Is Brick Front With Hardi Plank Siding, Sprinkler Systems Are Included. MLS#6537409. Lullwater Realty, Inc..
Home Is Brick Front With Hardi Plank Siding, Sprinkler Systems Are Included. MLS#6537404. Lullwater Realty, Inc..
Sharon Park - Square Footage Does Not Reflect The Lower Level, Total Square Footage Is 2600. MLS#6537671. Keller Williams Rlty-Ptree Rd. Come Take Advantage Of The New Deck Which Will Be Perfect For Entertaining This Summer! 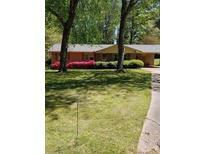 MLS#6537370. Rcm National Realty. Judean Hills - This Is Your Opportunity To Invest Near Downtown Tucker, Stone Mountain, And Brookhaven! MLS#6536751. Keller Williams Rlty Consultants. Updated Kitchen With New Stainless Steel Finish Appliances.New Insulation,Duct Work Front Porch,Huge Oak Tree In Front Yard Seal The Deal On This Affordable Home.New Insulation,Duct Work MLS#6536924. 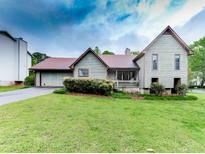 Realty Associates Of Atlanta, Llc..
Classic Village - Charming, Welcoming, Tasteful And Move In Ready! MLS#6536275. Atlanta Fine Homes Sothebys International. 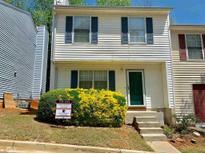 Empire Forest - Close To Publix And Sprouts And Downtown Tucker. Quiet Neighborhood. MLS#6536201. Current Realty, Llc..
Full Unfinished Basement With Interior And Exterior Access. MLS#6535630. Keller Williams Rlty-Ptree Rd. Smoketree - Neighborhood Pool Is Optional. Must See!! ! MLS#6535756. Palmerhouse Properties. 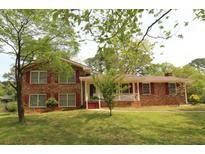 Cousins Estates - Conveniently Located To I-285 And Downtown Tucker. MLS#6535676. Keller Williams Rlty-Ptree Rd. (Listing Agent Is Related To Seller) MLS#6536184. Atlanta Communities. This Home Is Truly Move-In Ready And Not To Be Missed! MLS#8562670. 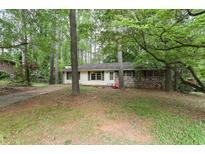 American Realty Pro Of Ga.
Pine Grove - Remodeled Kitchen With Granite Counters, Upgraded Windows, Fixtures Crown Molding, Updated Electrical Panel. Private Culdesac Lot! MLS#6535506. Chapman Hall Realtors. Dual Driveway Access From Both Lavista Rd And Flowers Dr. MLS#6534819. Oak Grove Advisors Inc.